Everything you love about Team Flower is created by a small staff with big heart. They help put together our free content, classes, and events like the one you see above. Kelly founded Team Flower, and you’ll see her in videos and classes throughout the Team Flower site and hear her on the podcast. She came to work with flowers after spending some time planning corporate events, and she started her floral design business, Philosophy Flowers, in 2012 and Team Flower in 2014. Kelly grew up in Pennsylvania in a gardening family, and when she’s got a free day, you’ll find her playing outside with her dog, tending to her garden, and dreaming up new ways to support the floral industry. What do you love about working in the floral industry? Central to my core is a love for teamwork . . . when it's done and done right it’s even more beautiful than the flowers to me. I get lost in thinking about all the hands that have been a part of creating a memorable moment for the recipient of the flowers. What’s your favorite thing about working with flowers? Flowers are beautiful—and beauty is a language the whole world speaks. It crosses borders and status. Flowers are a way to communicate love, hope, peace . . . all without saying a word. What’s a funny fact about yourself? Parades make me cry! Haha. There's just something about everyone doing their part and marching together that gets me every time. It's such a strange place to get choked up, which I think makes that a funny fact. But pay attention to the stuff that gets you unexpectedly . . . you've got something special to share with the world, and this will give you clues to know what that message is and how you can express it. Quirky talent: Dog hairstyle photographer. Jesse grew up in large family in Ohio where his entrepreneurial skills really blossomed: he’d charge his brother or sister to take something to the mailbox, he’d sell old things to other siblings, and he once operated a donut shop from under his bed. He loves everything about small business, from running his own to supporting others in their entrepreneurial endeavors. He makes sure everything at Team Flower runs smoothly—marketing strategy, coding every technological aspect of the site, everything!—so flower pros have the opportunity to connect and grow. My wife! 😉 But truthfully, I love the openness everyone in the industry displays and the true community I’ve seen by people helping one another out. I’m the youngest of eight siblings (hence all the sibling commerce)! Favorite food: A really, really good burger. 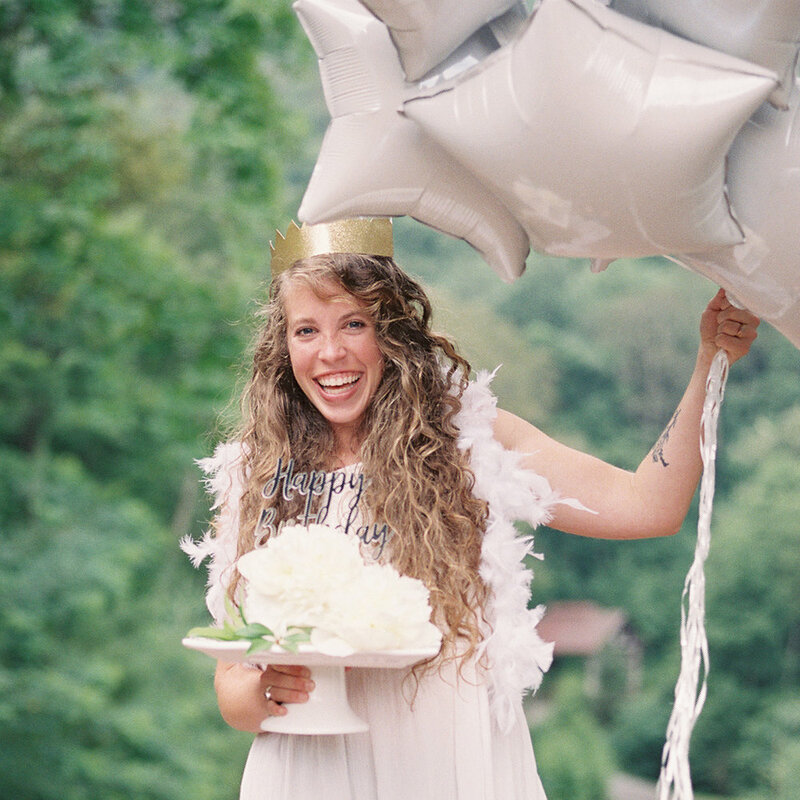 Janine grew up in Georgia and is a self-described “curly-headed mountain girl” who prefers to be barefoot and wearing long dresses whenever possible. She lives with her husband, Ash, Fitzwilliam the cat, and a baby-on-the-way in North Carolina. In addition to floral design, Janine likes to sing and play the ukulele. 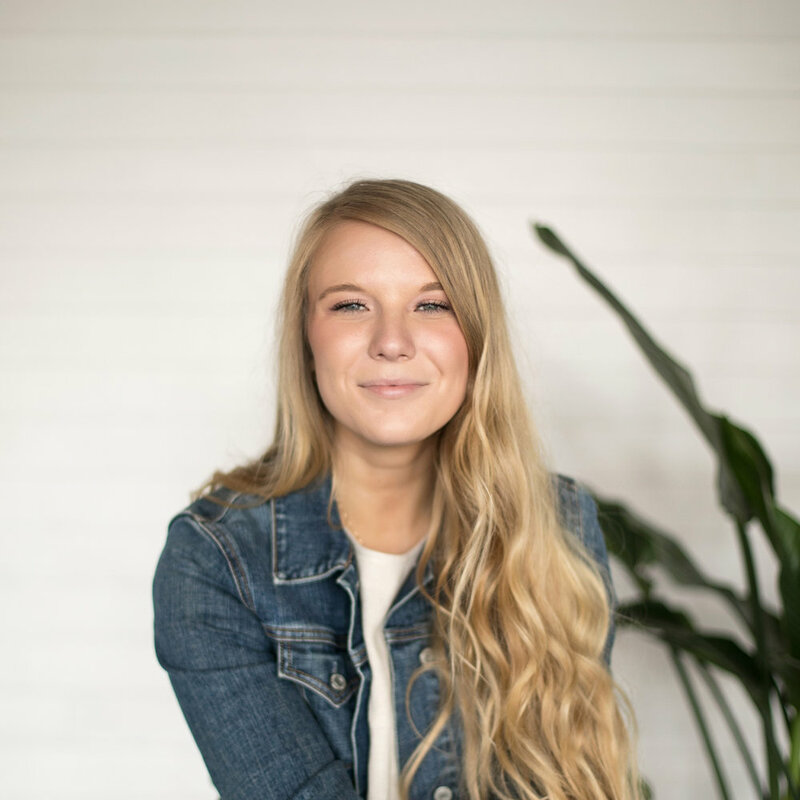 She has a heart for loving people deeply, and you can see that clearly in how she manages the Team Flower Community and works with industry pros to coordinate content for the site and podcast. And you may have experienced her handiwork if you’ve received a post card in the mail from us! I love witnessing how many aspects of the floral industry are necessary for its success and survival. Each facet of the floral industry needs one—if not all—of the others! My favorite thing about working with flowers is that I am not the ultimate creator of what is beautiful. I'm simply taking something that is already lovely, and arranging it in a way that best highlights that beauty and draws others to stop and appreciate the work of the Creator. What’s a funny fact about yourself? I can walk on my toe knuckles. Favorite food: French fries. Always. Forever. French fries. Meagan is a small-town transplant from Kentucky living in the Big Apple with her husband, Ben, Moose the Goldendoodle, and Nova the cat. She fell in love with flowers while working in a very numbers-oriented job; after craving creativity and beauty, Megan decided to pursue a life with flowers. In addition to building bouquets, Meagan loves watching a good Netflix show, exploring the city with friends, and playing the piano. At Team Flower, she helps put on the big yearly conference and invites people to join in. She loves spreading the word about what Team Flower's up to so more people can get plugged in and be encouraged! I love being a part of a community that is so passionate about nature, flowers, and the people that they serve. Their beauty of course, but perhaps more so, their intricacies . . . you can probably find me somewhere, stopped in my tracks, holding or staring at a flower, saying "But just LOOK AT IT! How is this even possible?!" I can't help but be drawn to them because they reflect the beauty and intricacies of creation. I love to travel—my favorite place I've visited is Italy, and I would love to go back! Amanda grew up in rural Southeast Texas and lives with her husband, Nick, and townhouse full of plants in Ohio by way of Nashville, Tennessee. As a child, she gardened with and for family—her mom, grandparents, and even great-grandparents. She’s a multi-passionate creative, likes writing quirky kids’ poetry, and considers herself a “gentle, nerdy, amateur horticulturalist” in addition to being a professional language geek for a living. Amanda works to make the content at Team Flower as beautiful as its mission. I've been a curious gardener since I was a child, and I enjoy growing flowers and vegetables in both small and large spaces. I love working so closely with nature that I can pick up on its patterns and teachings—we have so much to learn from the earth! I love working with flowers and plants so much and I hope to start a gardening blog in the future. I was a foster parent in Tennessee, and I plan on being one again now that we’ve moved to Ohio. Favorite food: TEX-MEX—especially cheese enchiladas. Jacelyn grew up in the small country town of Oakdale, California, and now lives in Modesto with her husband and trusty golden retriever. She’s a “passionate flower enthusiast” and has a degree in horticulture. As a self-described old soul who enjoys slow living, when she’s not working with flowers, Jacelyn lives out the simple life through gardening outside with her beloved pup, antiquing for vintage records, or spending time at the movies with her husband. Jacelyn works to make Team Flower’s social media presence and design cheery and welcoming. Is it too cliché to say it’s a really pretty job? I absolutely love everything about this industry. And the community of creators I get to meet at the market, the clients I work with, the late night caffeine runs and dance parties—it’s all amazing. To be able to take something that was grown organically in nature and create something beautiful for someone is a really rewarding process—it’s something so special, and I knew I had to be a part of it! Anytime The Price Is Right is on, I am always just a few dollars off, if not spot on . . . I guess I need to get a solid costume and get on The Price Is Right! Favorite food: Crepes—specifically with nutella, strawberries, and bananas covered in whipped cream!